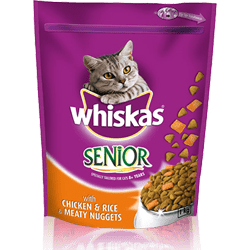 Whiskas® 7+ has been designed specifically for your older cat. 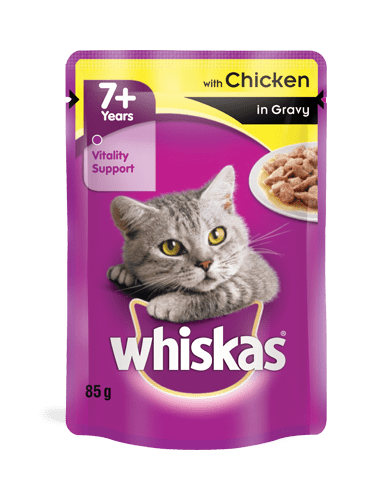 When your cat gets older, their needs change and our recipes have been formulated to ensure your cat receives everything they need to stay strong and confident. 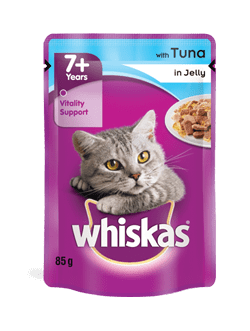 Whiskas® 7+ includes taurine which helps to maintain a healthy heart & sharp vision along with vitamin E & minerals to help support a healthy immune system.